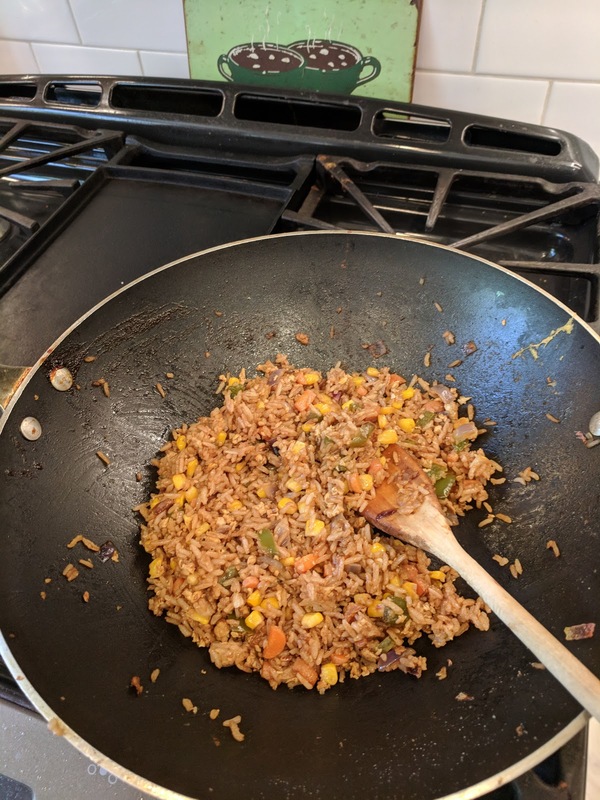 I have been craving fried rice lately and finally decided to make some for lunch the other day. I glanced through a few recipes online but couldn't find one that sounded good. I ended up just throwing some things together that I knew I would like and it turned out delicious. 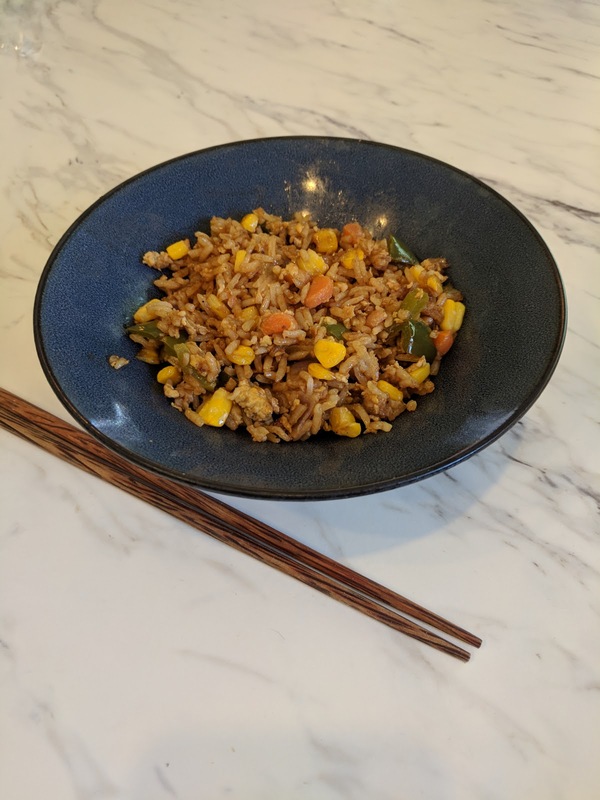 Egg fried rice is a great way to use up leftover rice and vegetables and you can throw in any leftover meat you have as well to make an even heartier meal. but doesn't that look delicious! Vegetables such as bell pepper, carrots, peas, corn, or edamame, chopped if needed. Mix the eggs and water in a bowl and set aside. Separate the rice into grains with a fork, if packed into a container, and set aside. Heat 2 Tbsp of olive oil in a wok or high-sided frying pan and saute/stir-fry garlic, onion, and any other vegetables until just any excess moisture has cooked off and they are just beginning to brown. While stirring, slowly pour egg mixture into pan. Season with salt and pepper to tasted and continue stirring until the egg is cooked, making sure to scrape the bottom and side of the pan as you stir. Once the egg is cooked and no longer shiny, add rice, soy sauce, and remaining 2 Tbsp of olive oil to the pan. Stir the rice into the vegetables and egg until it is evenly distributed, add any meat to the pan, then continue to stir-fry until dish reaches desired crispiness.